A beautiful charming and bubbly girl, Astha's story touched my heart and brought tears in my eyes when she shared the picture outside her school life. 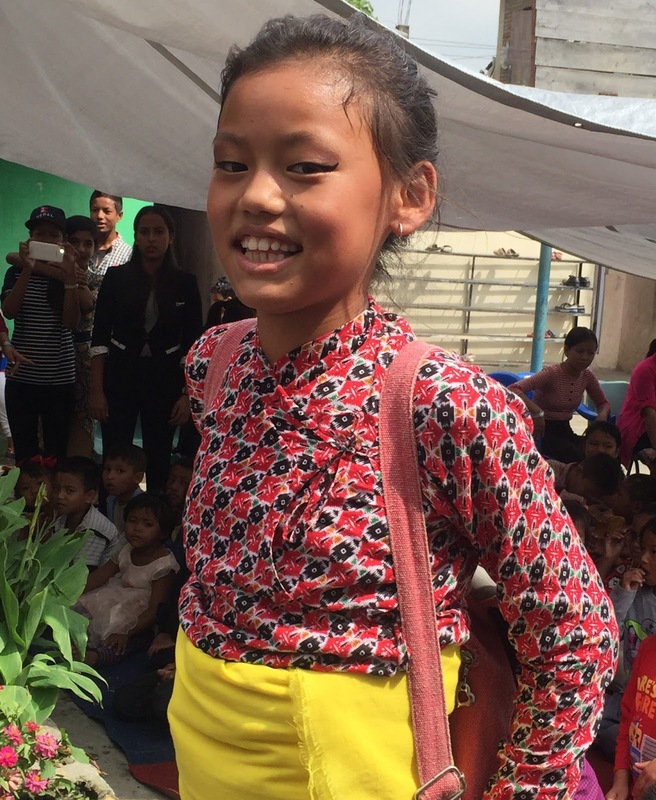 I am Aastha Tamang, thirteen years old, living in a small shack in Tinkune, Kathmandu. I study in class six in Koseli School. When I was 11 years old, my mother expired of heart attack due to excessive drinking of alcohol. After mother died, i had to quit school at middle of grade four and help my father with the tea stall, the only source of income for the family. It was difficult for him to educate and feed 6 people with his low income. We are five sisters and one brother in my family. Two sisters are already married but one sister’s husband left her. One of my sister got married at the age of 14 and had a child before she turned 15. My father got remarried, and my step mother was cruel to us. Luckily, she did not stay for too long. The best thing she did to my life was that she brought me to Koseli School and that has changed my life forever and I will always be grateful for it. Koseli was and is the only thing in my life which brings happiness and smiles. We all are living in a single room and my small brother and sister disturb me all the time. I cook food, feed them, wash clothes and take care of them most of the time. In my free time, I like to read and revise what I have learnt in School. I stand 1st in my class. This is all possible due to the happy and peaceful environment provided by the Koseli Foundation. I love my school very much as i can get stomach full of food and snacks and get education. I like all the teachers of Koseli School. My small sister also studies here in LKG. She loves coming school with me. My best subject is science and my dream is to become a doctor and serve needy people in future. Above Information is really informative about donation in NGO,Society,Trust etc.Thanks for sharing valuable information, I hope share some other usable article keep it up. Presently PenPencilEraser is available for global schools, it is an integration of various modules and schools experience time saving and on cost cutting in their daily operations. The digitalization process is simplified for schools and any school across the globe can adopt to PenPencilEraser employing subscription model which is based on the student count. License model is also made available for feasible clients. PenPencilEraser is simple yet dynamic online School Management Software which is now recognized by schools round the globe and is attaining a wide reach beyond the horizon. The smooth and efficient system of the software addresses all day to day school activities and streamlines school administration online. The function of PenPencilEraser is designed to work fluently for a novice, with advanced technology combined. PenPencilEraser, Online School Management System for smart schools across globe. Complete digitalization of school administration experienced, collaborate with management, teachers, parents & students , offers 100+ features. It’s really a great and helpful piece of information. I am happy that you simply shared this helpful information with us. Glad I found this blog.This article gave me all of the info I need. thank you.